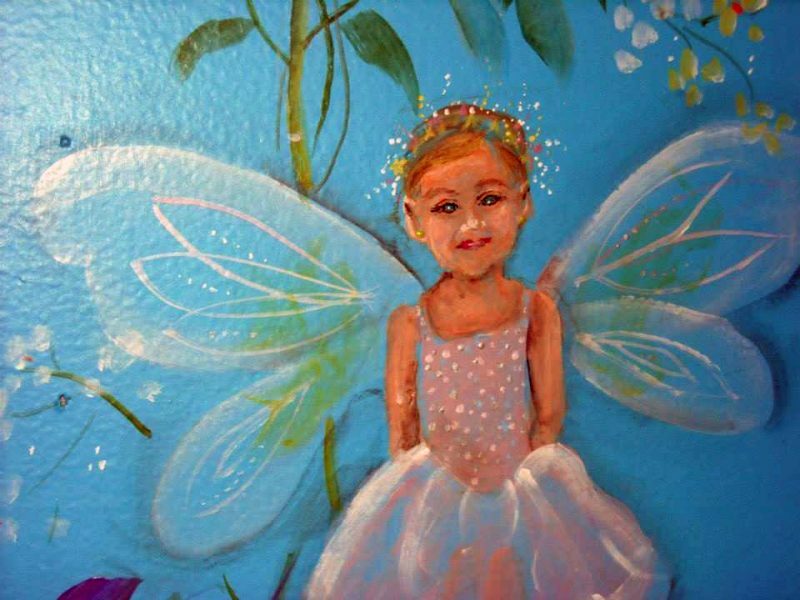 Taylor Degenhard died at age 6 in 2009 from neuroblastoma. Her memory is alive at Akron Children’s Hospital, as her family and friends continuously give back to others. The Degenhard family of Louisville in Stark County knows first-hand how much it means to receive kindness during difficult times. For 4 years while their daughter, Taylor, battled an aggressive form of neuroblastoma, they received countless meals, kind gestures and support from family, friends, staff and strangers. Despite all the love, medicine and determination Taylor had on her side, her cancer couldn’t be cured. But, her cancer also couldn’t stop all the love and kindness so her family decided to pay it forward as Taylor’s Angels. 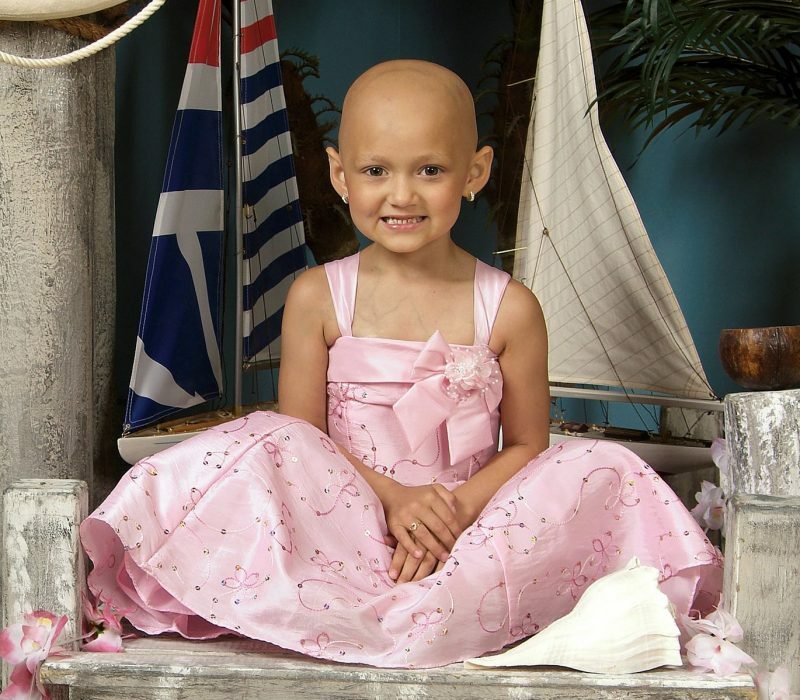 Diagnosed at age 2, Taylor’s neuroblastoma was considered Stage IV, meaning the cancer had spread. She underwent 6 rounds of chemotherapy and had surgery to remove the tumor. Her treatment caused fevers and other complications that kept her at the hospital for months at a time. She underwent a stem-cell transplant followed by a dozen sessions of radiation, all of which kept her hospitalized. The day came in 2009, one year after Taylor’s passing, and has been going strong ever since. Taylor’s Angels is a group of Degenhard family and friends who give time, money, resources and prayers to the families touched by Akron Children’s Showers Family Center for Childhood Cancer and Blood Disorders. For Christmas recently, Taylor’s Angels donated nearly 50 Build A Bears for children being treated for cancer. During Childhood Cancer Awareness month in September, Taylor’s Angels make weekly appearances during the department’s themed activities for patients. 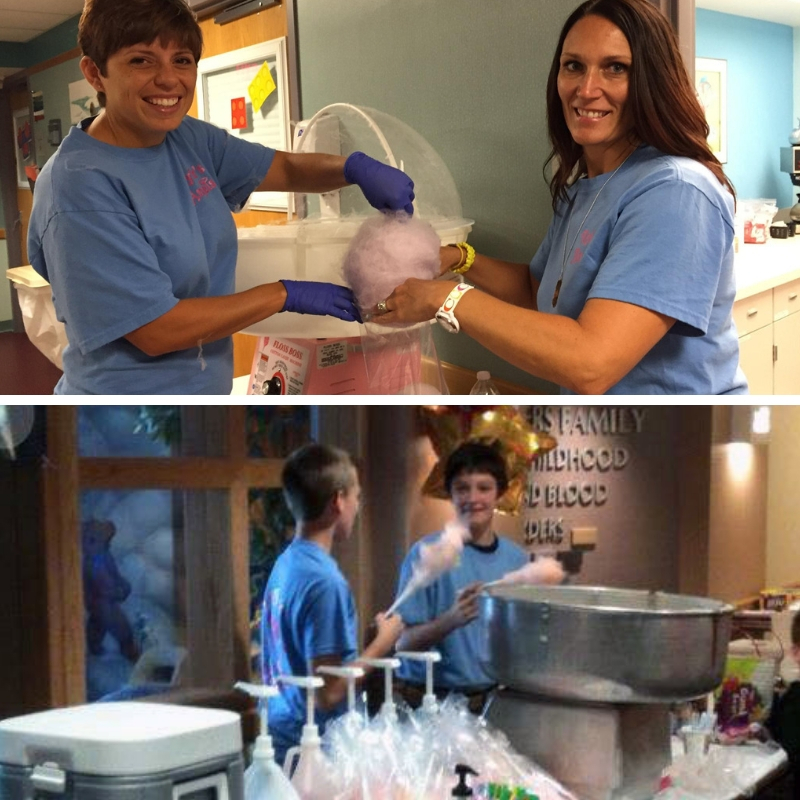 Taylor’s Angels volunteers spend a lot of time at the hospital and oncology clinic making patients feel special during Childhood Cancer Awareness Month each September. Shown in top photos: Michelle Novosel and Tricia Degenhard. Shown in bottom photo: Trent Degenhard with Logan Thomas. 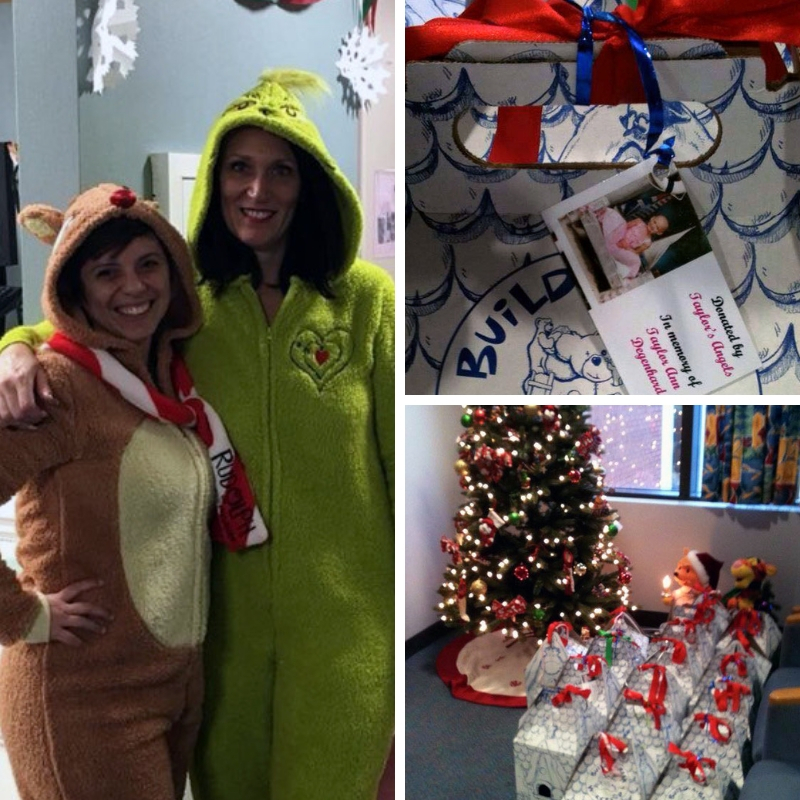 Taylor’s Angels can be seen at the hospital throughout the year, too, bringing treats, gifts and support. 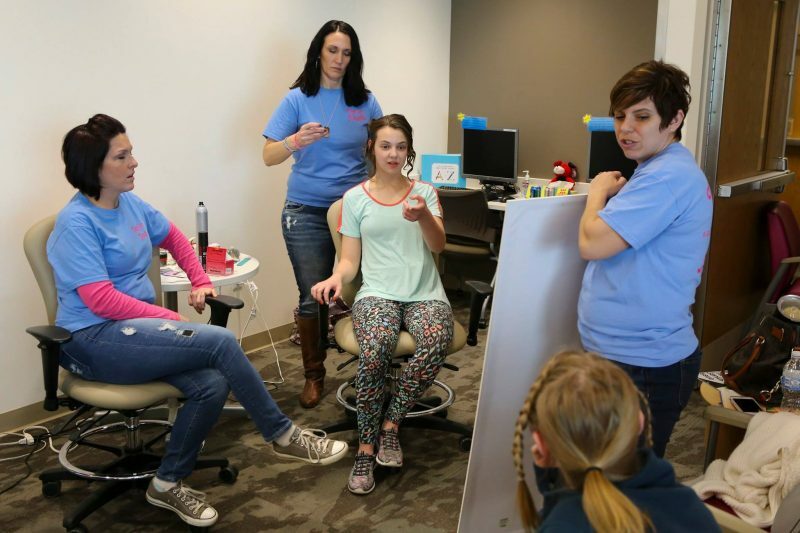 Since A Prom to Remember began 8 years, Taylor’s Angels have provided royal treatment with hair styling and makeup sessions for the young ladies attending the dance. Here, they style patient Mackenzie Roach. Daily, you can see the Degenhard’s commitment to supporting patients just by walking through the unit. With paint and labor donated, Taylor’s Angels was able to transform 15 patient rooms with kid-friendly colors and art. Taylor’s brothers, Rocco, Trent and Tyson, and friends painted animals that were made into mobiles that hang from the ceilings. Akron artist, Paulette Grubb, painted magical murals on the walls throughout. And, if you look closely in room 6, you’ll see one little fairy who looks just like Taylor. For those who work in the Showers Family Center for Childhood Cancer and Blood Disorders, they consider Tricia and Taylor’s Angels family, too.